FAQ's - Reiki, Raindrop Therapy, Aromatherapy, Biomat, Angel Card Readings, Akashic Readings, Pilates, Private sessions Based out of Monroe WI - Healing Notes, LLC. What are the benefits of YL Raindrop? What type of Reiki do you do? How often should I have Reiki Treatments? I want to try Reiki, but what if it doesn't help me? What is YL Raindrop technique? What types of Angel Card Readings do you do? What's the difference? What are the benefits of BioMat? The BioMat is an FDA approved device.There are 3 key components that you will not get with the conventional heating pad. The BioMat uses Far infrared light, Negative Ions, and Amethyst Crystals. It can penetrate 6-8" into the body and because of this, there are many benefits to your whole body and not just the surface! It feels wonderfully warm and the warmth fills you! What are the benefits of BioMat™? “Reiki is a Japanese technique for stress reduction and relaxation that also promotes healing. It is administered by "laying on hands" and is based on the idea that an unseen "life force energy" flows through us and is what causes us to be alive. If one's "life force energy" is low, then we are more likely to get sick or feel stress, and if it is high, we are more capable of being happy and healthy. I am an Usui Reiki Master Practitioner and use the Usui Reiki methods. The different types of appointments I offer currently, are Aroma Reiki (with YL oils) and Reiki (without YL oils). If you are sensitive to smell or prefer not to have oils used, you will need to mention that before your appointment or upon booking. During most of my treatments, I use YL oils. That answer will depend on a lot of different variables. 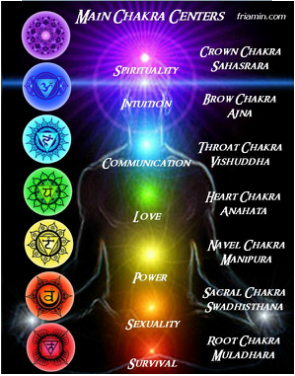 Reiki deals with emotional, physical, and spiritual healing. If there is a great need for healing, it will take more sessions/time to heal. Reiki works to restore your body, mind, and soul to the best and highest frequency it can be within the universe. Even clients with extreme health issues have reported steady and consistent gains in range of motion, reduced pain, and improved overall well-being. Another thing to consider is your willingness as a participant/client. If you are not ready for Reiki, you may be putting a block on emotional healing that you need. The more open one is with his or her session, the more healing that person will receive. The more you believe in Reiki's healing powers, the more the energy can be accepted and positively impact you. For people struggling or wanting to see results: Weekly/bi-weekly treatments are recommended and can help people clarify and overcome issues in their lives. For people with chronic health conditions: It is more beneficial to do Reiki as often as your schedule allows: daily, weekly, every couple of weeks. For people wanting stress relief/relaxation: Treat Reiki like a massage and approach it more like every few weeks or on a monthly basis. Distance healing is the act of Reiki being performed on another person who can be across the room or miles and miles apart. In terms to understand, Reiki can be done without touching the body in a session. Distance healing is done with focus and intent on the practitioners part. The energy will always go where it needs to. "If I could break it down to a single sentence I would say that it’s possible to send energy over a distance or remotely because at a deeper level of reality all things in the universe are infinitely interconnected." - Tulsi Milliken, Ph.D.
You'll never know if you don't try it! At the very least, you will experience a full hour of relaxation. It is hard to say how much and in what ways it will help you, as the attitude you take towards the treatment will greatly impact its effectiveness. I, as a Practitioner, cannot force you to allow the treatment to help, much like a doctor cannot make you take the medicine prescribed to you. The more receptive you are to receiving the treatment, the more benefits you will have. Even if you are not fully open to it during your session, you will still be helped in some way. There is nothing to lose and everything to gain in trying Reiki. What is fear worth? Set your fears aside and experience Reiki. Maybe after trying it, you'll even wonder why you have waited so long to do it! If you're still on the fence after reading this, you could choose to research Reiki, its benefits, and testimonials from other people who have experienced Reiki. Then, you can decide whether it is something you would like to try. Raindrop is a special technique in which therapeutic grade essential oils are applied neat (undiluted) to the vita flex points in the feet (points in the feet that connect to different parts of the body). Oils are also applied to the spine and some massage technique is used for this.During a session, the client is dressed down and draped in an appropriate manner so that the feet and back may be accessed. Angel card readings are a way to connect and be helped by the higher self that does not know the ego. They give insight into relationships, careers, finances, and other life challenges while giving peace of mind & confidence. The readings reflect your life and help you see from a point of view that can diminish the struggles you may be facing. Angel Card Readings are given by a Certified Angel Card Reader (TM) through the Course Taught by Doreen Virtue and Radleigh Valentine. Celtic cross 10 card layout - This is for detailed information and big questions. If you are a midst life changes or you want more than just a yes or no, then this would be the reading for you. An appointment usually is about 25-30 mins. Past, Present, Future 3 card layout - These types of readings fit the simple yes or no questions that the client may not have a need so much detail. Questions can be about career path, love, finances, etc. An appointment usually is about 10-15 mins. The Akashic Records are the records of an individual's soul They contain everything the soul has ever thought, done, and said over its course of existence as well as future possibilities. During a reading, the records are accessed with the clients full name and permission. The client will ask questions and receive answers from the records. We can also help heal anything that might be affecting your current life. Essential Oils are derived from a plant by a distillation process. They have been known in history to have been used medicinally because of the healing properties they contain. The Young Living oils are therapeutic grade, thus most can be ingested as a supplement or in a glass of water as well as being used topically or aromatically. These oils, when combined with Reiki, can heighten the Reiki healing experience. These oils are also used for the Raindrop Technique. Become a member today!